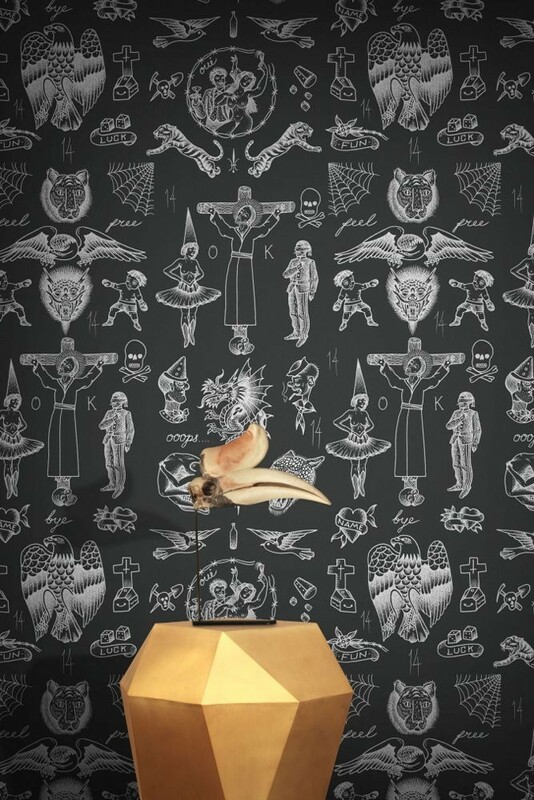 For this series of contemporary wallpapers, FEATHR.com worked with legendary tattoo artist Liam Sparkes. Known worldwide for his absurd and brutal tattoos, this is the first time he’s applied his art to wallpaper. Material: Easy-to-hang 150g non-woven wall-covering.